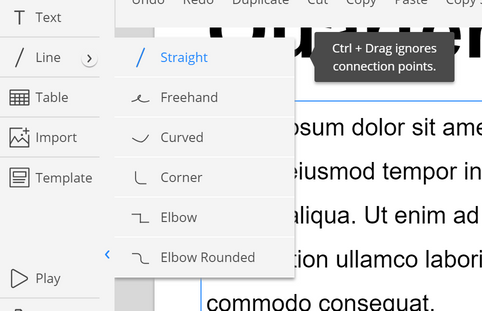 You can choose the line type by clicking the arrow to display the other options in a drop-down menu. Add new image object. You can choose several way to import image files after click this menu. Apply a template sheet to your diagram. You can choose which template to apply from the template menu. Remove selected object from the sheet while copying it to your Clipboard for the next "Paste" operation. Copy selected object to your Clipboard for the next "Paste" operation. Add object that was copied to your Clipboard by the "cut" or "copy" operations. 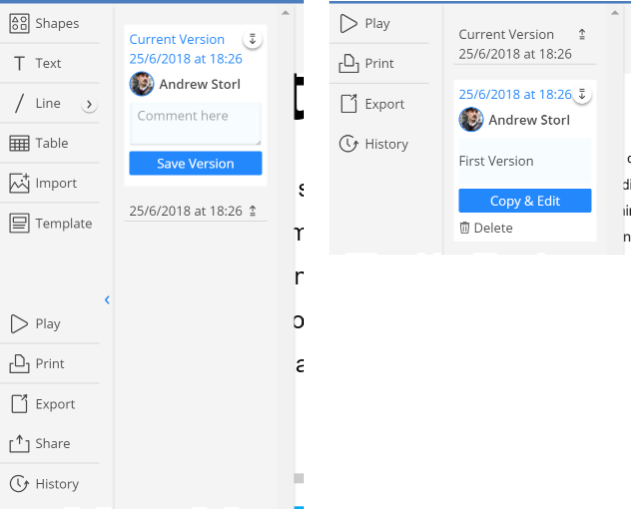 Copy styles such as text format, fill, line and shadow settings from a selected object,then apply those styles to another object. Group together multiple selected objects into one object selection so that actions applied to the selection affect all grouped objects. Change fill color and opacity settings of selected objects. Change line styles settings of selected objects. These settings include line thickness, color, style, start/endpoint of both edge and line type. The start/endpoints of both edge and line type are only available for line objects. Change shadow color, opacity, blur and where shadow is applied for selected objects. Change the placement of selected objects. "Forward", "Front", "Backward" and "Back" change the order of stacked objects. "Flip" changes rendered direction of selected objects. "Align" moves selected objects (at least 2 objects) to be aligned. "Distribute" moves selected objects (at least 3 objects) to be equidistant from each other on a horizontal or vertical line. 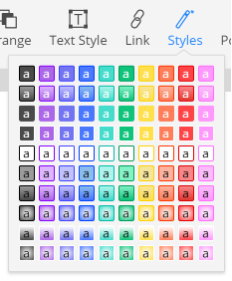 Change text format such as font, size, color, style, line spacing and alignment of selected text objects. Apply a link to a selected object. There are two different types of links:move to another sheet, or access an open web page by URL. Apply a prepared style set to selected objects. Change position and size settings of selected objects. Add custom attributes, name and value pair information to a selected object. Custom attributes can be used in the API results for developers that make integrations with Cacoo. Change positioning rule of selected inner object. To select an inner object, please click on a selected object. You can change the title of the diagram by clicking title text. You can choose the diagram type if you need to make a custom shape or template to use for making other diagrams. 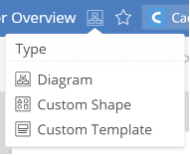 When you choose the diagram type "Custom Shape" or "Custom Template", you can update your custom shape or template by clicking the above button. You can “star” a diagram so that it shows up in the "Favorites" list in Dashboard so that you can access it easily. You can change the folder your diagram is located in. 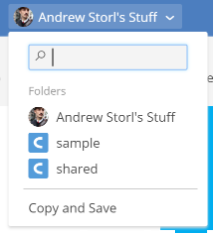 You can make a copy the diagram from the bottom of the folder selection list. Cacoo's diagram is constructed with multiple sheets. You can navigate between sheets in a diagram from the sheets panel. 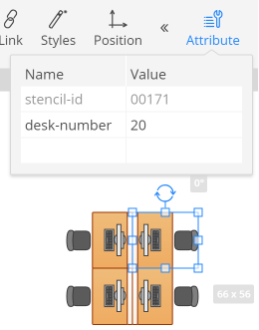 When you click the [+Add Sheet] button, a new blank sheet is added to the current diagram. When you click a sheet thumbnail, the Editor will reflect the contents of the selected sheet. You can change the sheet order by dragging a sheet thumbnail up or down in the sheet list. When you click the sheet name area under a thumbnail, you can modify the sheet name. From the upper-right menu on the sheet thumbnail, you can make a copy of the sheet. 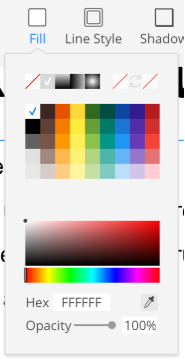 You can delete the sheet from the upper-right “delete” icon on the sheet thumbnail. This shows the diagram in the presentation mode. This shows the print diagram dialog. If you want to create a PDF with embedded fonts that you used in your diagram, please use the Print menu, then click “Print to PDF”. 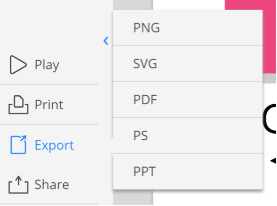 This menu exports the diagram to other file formats. Free plan users can only export as PNGs. Paid plan users can export in all file formats. This shows the share settings menu. 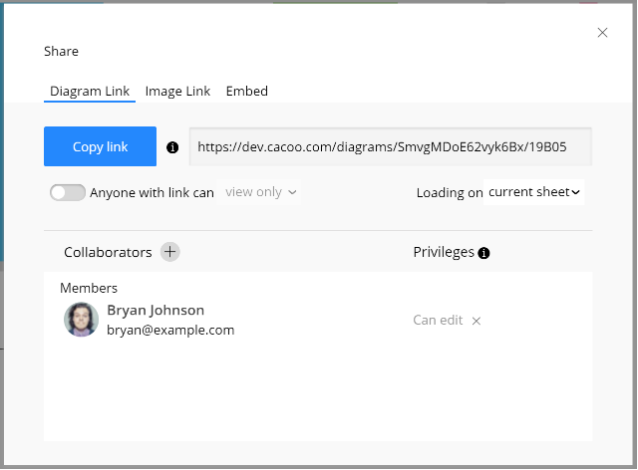 You can share the diagram directly with other users by email if the diagram is made in your private folder and is not in any shared folders. You can also change the range of disclosure of the diagram. This menu lets you create and view all logged version history of editing the diagram. This function is only available for paid users. The Comment tool lets you comment anywhere on the sheet. Expanding a comment shows the conversation thread with other users. You can change a comment’s location by dragging the left-top corner point. The show (or Hide) button shows you the sheet with comments applied or with comments hidden. 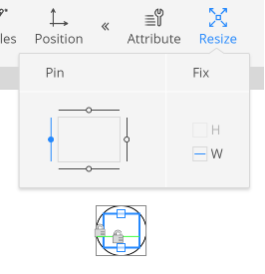 Diagrams are automatically “free size” by default, but if you want to make the diagram with fixed size, you can choose the diagram sheet size. For example, if you want to show the diagram as a presentation, you can change the sheet size to match the specific screen size of the projected view. You can make another sheet the background sheet of the current sheet. 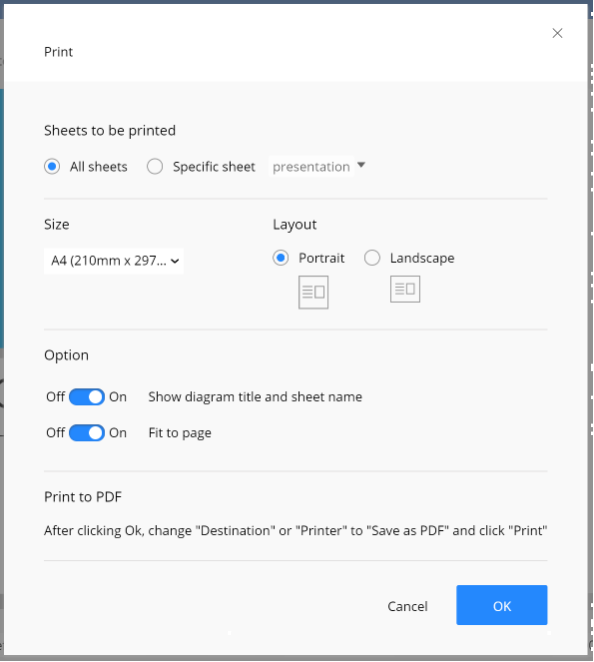 One sheet can be used as the background sheet for multiple sheets. When you update the background sheet, the changes are applied on each sheet. This changes the zoom level on the sheet. Controls visibility of grid lines on the sheet. Changes the snapping objects rule to snap to grid-lines or nearby objects. Shows available keyboard shortcuts in the Editor.